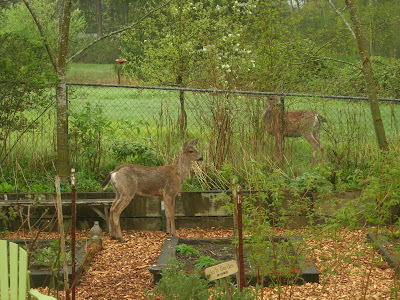 Little Swamp Creek: Deer in OUR yard this morning! 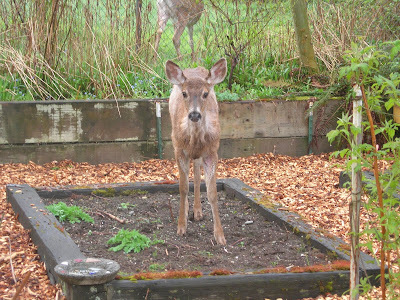 This little one eventually hopped back over the fence to be with its buddy. I'm sure this it the same pair that I saw on Monday.